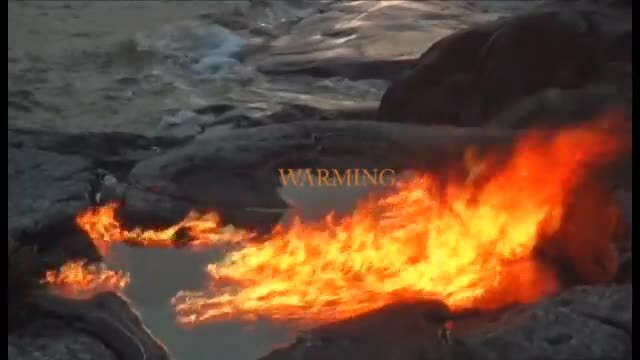 With this video of the intensity of the ocean waves and the burning flames, we want to remind people about the power and importance of fire and water, the building blocks of planet Earth. We must have clean water and clean energy to survive. The oceans, waters and air must be protected before we arrive at the midnight hour, the point of no return, which scientists predict can happen within our own lifetimes when pollution, global warming and climate change destroy Earth. As the flames die, we want to shock people into thinking about the all-too-real possibility of similar extinction of life on Earth if we do not act soon to remedy the atrocities that humans have brought upon our planet.